Blog Is Chocolate Milk an Adequate Recovery Aid for Swimmers? 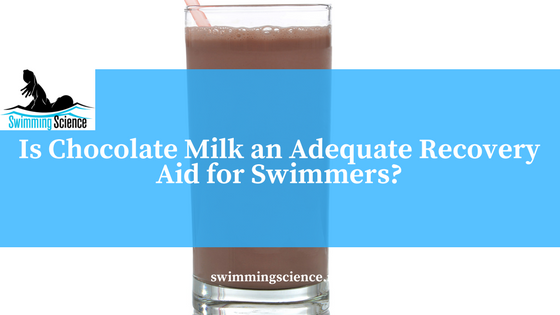 Is Chocolate Milk an Adequate Recovery Aid for Swimmers? In recent years chocolate milk has emerged as a popular recovery beverage for athletes. A while back, USA Swimming partnered with milk in a marketing campaign with many elites making a pitch to the swimming community. Popular science publications have also made the public aware of milk’s benefits, or at least its comparability (and perhaps superiority) to expensively engineered supplements and recovery drinks. Chocolate milk, as a relatively natural product, offers many benefits compared to supplements and other manufactured products. The most obvious is cost, as unlike most supplements, chocolate milk can be purchased inexpensively at a place like the local gas station. Another benefit is that you’re less likely to fail a drug test (as Jessica Hardy reminds us). Chocolate milk’s portability and accessibility also make it a good accompaniment for breakfast after a morning practice. In this post, we’ll summarize the evidence behind chocolate milk as recovery nutrition and examine whether it is indeed superior to engineered drinks and recovery supplements. Karp (2006) studied nine male, endurance-trained cyclists and compared chocolate milk with a fluid replacement drink and carbohydrate replacement drink. On three separate days, subjects performed an interval workout followed by 4 h of recovery, and a subsequent endurance trial to exhaustion at 70% VO2max. Subjects ingested one of the three beverages on two occasions: immediately after the interval workout and two hours later. Results: Authors observed that time to exhaustion and work output were significantly greatest in the chocolate milk and fluid replacement trials compared to carbohydrate replacement. In a similar study, Thomas (2009) also studied nine cyclists in a nearly identical format and found that subjects cycled 51% and 43% longer after ingesting chocolate milk than after ingesting carbohydrate or fluid replacement. In a field study on soccer players, Spaccarotella (2011) studied thirteen division III players (5M, 8F) during their preseason, which included both morning and afternoon sessions. Players completed a max shuttle run test after the afternoon practice. Authors found no difference in finish time comparing carbohydrate-electrolyte beverage with low-fat chocolate milk, but among men, there was a difference in time to fatigue. Gibson (2010) tested a more expansive battery with soccer players but did so after a four-day intensive training block. Subjects were given a high carbohydrate recovery beverage or chocolate milk after training. During follow up, there were no differences in myoglobin, muscle soreness, fatigue, or maximum isometric force, nor was there any difference in performance testing. However, chocolate milk was correlated with lower creatine kinase levels. Overall, the evidence shows that chocolate milk is at least comparable, if not superior to high-carbohydrate recovery options. 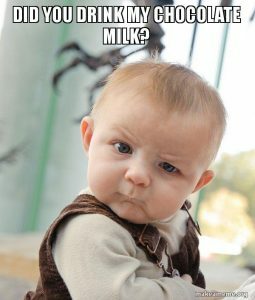 However, more research is needed to compare chocolate milk with other products containing a similar nutrient balance. There’s reason to believe a combination of whey protein with dextrose may prove superior to chocolate milk, but the head-to-head research comparison is lacking. The only recently published head-to-head comparison between chocolate milk and a protein supplement was from an undergraduate study in which authors failed to match the doses provided to subjects. Most of the existing research compare chocolate milk to high carbohydrate drinks and foods. It is still possible that future research will find more definitive answers, though critical thinking can help fill those gaps. One thing we do learn from chocolate milk research is the importance of including carbohydrates, protein, and fat in recovery nutrition. Certainly, each commercial manufacturer will proclaim their engineered product is different and superior, which might or might not be true. Yet remember in the “real world,” compliance is a major issue. Accessibility means that chocolate milk increases the odds that swimmers will ingest recovery nutrition post-workout. Spaccarotella KJ, Andzel WD. The effects of low fat chocolate milk on postexercise recovery in collegiate athletes. J Strength Cond Res. 2011 Dec;25(12):3456-60. doi: 10.1519/JSC.0b013e3182163071. Pritchett K, Bishop P, Pritchett R, Green M, Katica C. Acute effects of chocolate milk and a commercial recovery beverage on postexercise recovery indices and endurance cycling performance. Appl Physiol Nutr Metab. 2009 Dec;34(6):1017-22. doi: 10.1139/H09-104. Gilson SF, Saunders MJ, Moran CW, Moore RW, Womack CJ, Todd MK. Effects of chocolate milk consumption on markers of muscle recovery following soccer training: a randomized cross-over study. J Int Soc Sports Nutr. 2010 May 18;7:19. doi: 10.1186/1550-2783-7-19. Karp JR, Johnston JD, Tecklenburg S, Mickleborough TD, Fly AD, Stager JM. Chocolate milk as a post-exercise recovery aid. Int J Sport Nutr Exerc Metab. 2006 Feb;16(1):78-91. Thomas K, Morris P, Stevenson E. Improved endurance capacity following chocolate milk consumption compared with 2 commercially available sport drinks. Appl Physiol Nutr Metab. 2009 Feb;34(1):78-82. doi: 10.1139/H08-137. By Allan Phillips. Allan and his wife Katherine are heavily involved in the strength and conditioning community, for more information refer to Pike Athletics.